When we are creating a binary image we are defining objects of interest. Defining these objects is very specific to the task at hand. In some cases a simple threshold will work while others require a more complex approach such as color segmentation, edge detection, or something even more sinister. The most common way to create a binary image from a grayscale image is to pick an intensity threshold (also known as gray-level segmentation). Everything below the threshold becomes a pixel of interest (black). Everything else is not (white). Let’s explore a few methods for picking that threshold. Interestingly, this picture is a white piece of poster board (not blue) with some dark puzzle pieces on it. If you look closely you can see the famous HD7 pink tint. The image on the right is simply converted to grayscale using the average of the RGB values. While the puzzle pieces came through loud and clear so did a lot of garbage. Notice how the average line (magenta) splits the peak? This is going to lead to a large number of false black pixels. What we want is an automated technique for shifting the threshold left. 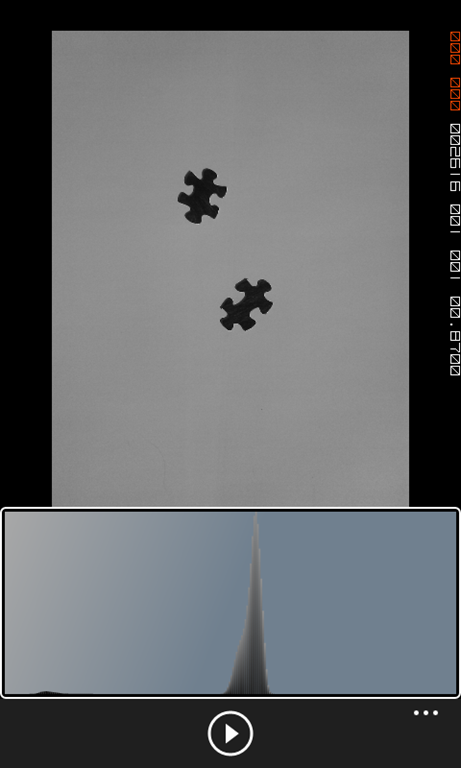 If you look at the original grayscale image you’ll notice that the puzzle pieces seem to be close to the same intensity while the background is another. This is represented in the histogram by the large peak (the background) and an almost imperceptible peak toward the dark end of the spectrum (the puzzle pieces). So we calculate an adjusted count for each intensity. By multiplying it by the square of the distance we give higher counts to those further from the first peak. Amazingly, this works even in this case where the second peak is so small. Wow! Those results are so much better. Notice I marked the two peaks with green and the new threshold is in magenta. Don’t use the mean. You might get lucky in a few cases, but in general you’ll end up in a messy situation. That said, the two-peak solution will work well in cases where your objects are of a consistent color and that color is separate from the background. I created this photo because I knew it would have good results. I highly recommend you try these techniques out on your own photos so you can get a feel for when they will work and when they won’t. 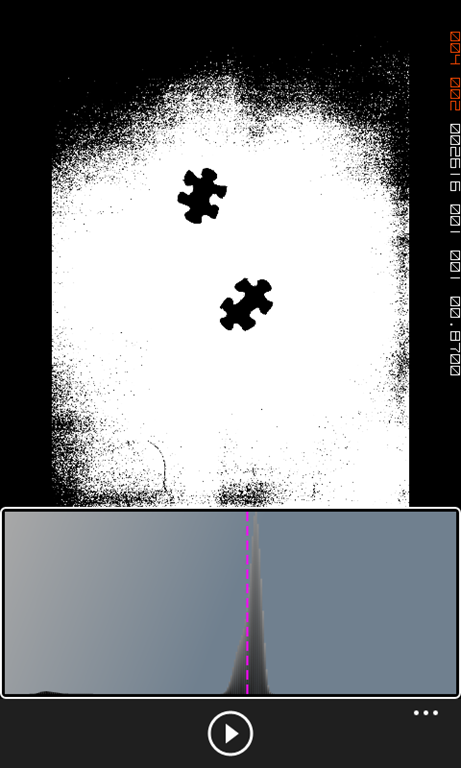 We will most likely revisit different thresholding techniques for different situations when they arise, but for now we have a binary image so we’re going to see what we can do with it.